An undiscovered paradise, just steps from the suffocating traffic. 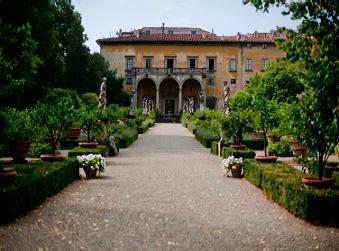 Palazzo Corsini is a project of the nineteenth Buontalenti and became the residence of noble families in Florence. And 'surrounded lemon trees and flowers here many tortoises roam freely. The Florence you do not expect surprises you in the chaos of the Porta al Prato, amid the rattling of the tram and the traffic noises that pierce the eardrums. So on Via della Scala opens the eyes show a sudden. Behind a gate, a garden seems to project into another dimension. Wisteria, oak and especially lemons. 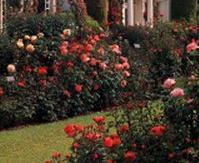 Then roses, tulips and peonies. All in a geometry that does bring out the colors even more. 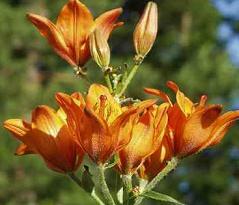 And then the scent, which open the lungs after the stench of the street. The tortoises roam freely in these spaces without time, if there are at least a hundred. 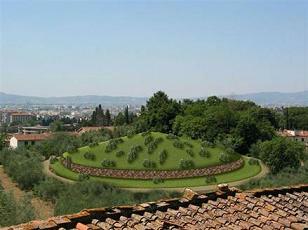 Here the garden oasis that expands on the back of Palazzo Corsini al Prato. 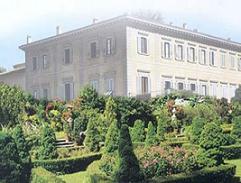 The impressive building dates from 1590, on a project by Alessandro Buontalenti Acciaiuoli, an aristocrat with a passion for botany, who wanted to own a villa surrounded by a large city park. A few years later, however, serious financial problems forced the rich family to stop work. 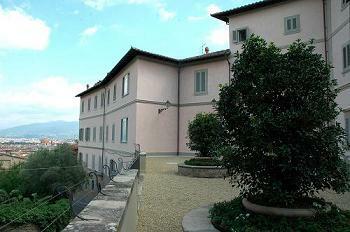 In 1620 the property was sold to Corsini. 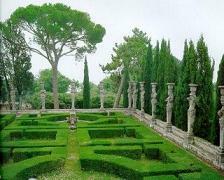 Philip also wanted an Italian garden and gave to Gherardo Silvani, who created that beautiful avenue adorned with statues that you can still admire the sculptures that stand on pedestals of different heights to play with perspective and create an effect of greater amplitude. In the eighteenth century the family reaches its zenith with the election of Cardinal Lorenzo Corsini, as Pope Clement XII. 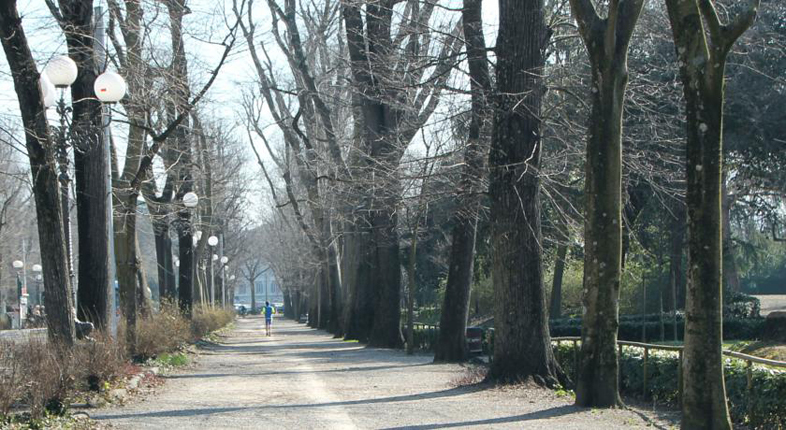 Until the nineteenth century the building of Prato was only a summer residence (compared to the palace on the river bank), then became the permanent residence of the Marquis of Blacks Corsini Laiatico and it featured the work of magnification, including a balcony to watch the Palio of the Berbers The horse race that was disputed until 1870 Via Ponte alle Mosse to Porta alla Croce, the present Piazza Beccaria. The garden is home to about 180 citrus trees, has three large lemon and one hundred tortoises roam freely in a colony for centuries. The last lodging dates back to 1980, made by Olivia Collobiano on behalf of Princess Georgiana Corsini, the energetic Florentine noblewoman involved in social life with some interest in politics.